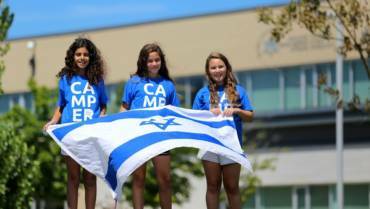 Welcome to the Summer Resources page – here you can access all of the information sent out in our Camp Mailing! All of our transportation options are made to be efficient to minimize parent wait times. We carefully plan our routes to ensure the shortest trip for our campers. Take a closer look at all of our depot bus location for both of our campuses below! If we aren’t in your neighbourhood, we add depots all year long, so contact us here! Security is an important factor: Our staff checks identification before releasing any child. Our enhanced bus programming will ensure that your camper’s bus ride is not only safe, but lots of fun! Bus cheers, decorations, weekly themes and prizes will transform the bus ride into a fantastic way to begin and end each day. We are currently building our bus routes for the summer and will post them shortly. In the meantime, please feel free to view our bus depots below. Please note that this is not a final list. Some depots may be removed before the routes are final. A great way to meet the staff, fellow parents and to feel the excitement that camp has to offer! Drop-off takes place between 8:45AM to 9:00AM and pick up is at 4:00PM. Choose among all of our convenient locations throughout the GTA. An “all you can ride” flat rate fee of $54/child/session applies to each camper for the entire of the summer. *Family Door to Door Bus Service discount available for families with 2 or more campers. We are now only accepting door-to-door requests for AUGUST ONLY and the final day to request this service is May 1, 2019. For those families that need a little more time in the morning or the afternoon, The Jack and Pat Kay Centre Camp offers 7:30-9:00am ($7/day) and 4:00-6:00pm ($12/day) extended programming. Please note that there is NO PM extended hours on the last day of camp (August 23, 2019). Campers are going to love what’s for lunch at The Jack and Pat Kay Centre Camp. The delicious Kosher and nut-free optional lunch program offers fresh lunches daily and all meals come with two snacks and a drink. Big appetites are always welcome! Veggie options are available. Our new lunch menu and pricing will be available in Spring 2019. The beginning of every camp day is an event unto itself. It starts with our morning flagpole program which includes interactive camp dances, camp songs and our ever popular Survivor. 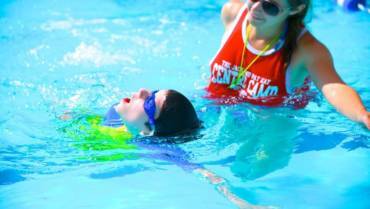 These programs are designed to engage and entertain our campers and get them energized for the rest of the day.